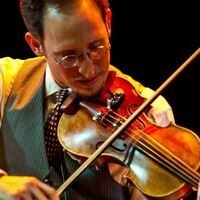 The Conservatory of Music is excited to offer a master class featuring Evan Price, violin. Price, a recipient of multiple awards, performed with the masters of fiddle lore like Stéphane Grappelli, Johnny Frigo and a diverse array of pop icons. He is a member of the Turtle Island Quartet and The Hot Club of San Francisco. The community is welcome to attend. Free admission.